Choosing the right New York personal injury doctor is an important decision. MSR NY board certified doctors understand accidental injuries and treat back and neck pain caused by car accidents or slip and fall injury. 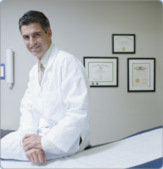 MSR doctors provide necessary documentation, experienced testimony, and sound medical decision-making. The impact of a car accident experts tremendous force that is transmitted into ones body. A vehicle accident victims injuries differ widely and many factors can be critical. Injuries to the cervical spine because of ones head snapping forward and back, i.e. "whiplash". If the head hits something in the car there could be injuries called Post-Concussion Syndrome. Not all symptoms of injury show up right away, some injuries may take weeks or months. Sadley going to the ER immediately after an accident may not fully detect these injuries but possibly overlook them. Injuries In A Motor Vehicle Accident. The MSR physicians in New York specialize in treating patients that have been injured in car accidents, or have had a personal injury. Whiplash injury to the neck, or cervical sprain/strain. Comprehensive medical narratives that include history, range of motion and muscle testing, neurological exam, orthopedic exam, a diagnosis, prognosis, comments on permanency, as well as a causality statement. In addition, narratives incorporate outside specialist's reports as well as diagnostic and operative reports. What's more, because all of these physicians have experience working with attorneys, they understand the importance of availability. That means that you can count on them to make themselves available to testify—often with only 24-hour notice. Many people have never heard of physiatry. And those who have heard of it, may not be sure of what it is, exactly. Simply put (and described in detail herein), physiatrists are licensed physicians, trained specifically to diagnose and treat painful spine and musculoskeletal injuries. Physiatrists treat the whole person, not just a condition, so they are better able to meet the specific and unique needs of each patient. Physiatrists' key goal is to restore maximum health and quality of life for their patients, so they function as a supervisor of a team of healthcare professionals that includes other medical specialists, physical therapists, and occupational therapists. All of the physicians MSR supports retain healthcare attorneys to keep them informed of all laws and regulations pertaining to health care providers, and they maintain compliance accordingly. We recognize that a patient referral is a high compliment and we understand that it has an impact on your reputation, so we encourage you to visit the state-of-the-art facilities of any of the physicians we support. If a visit isn't feasible, call us at 1-800-949-6100 or email us info@msrphysicians.com and we'll refer you to a physician who will gladly address any questions that you may have via phone or email. Habla Español.